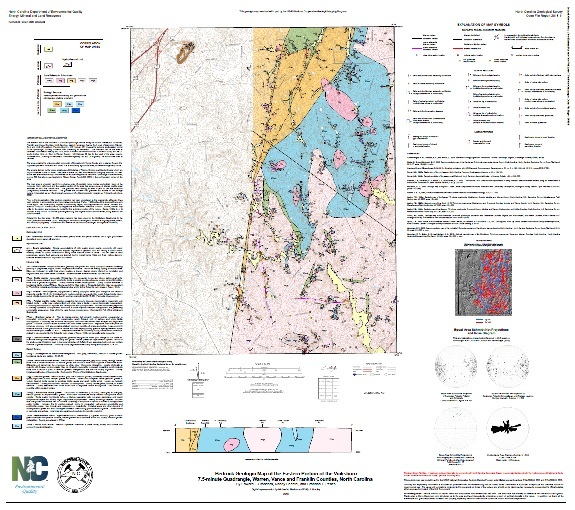 Geopdfs are an electronic map product that have all the same features of regular pdfs but also have location information as part of the map attributes. 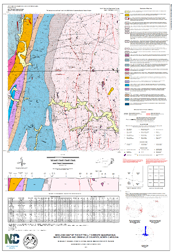 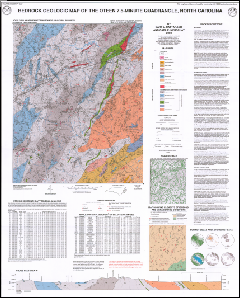 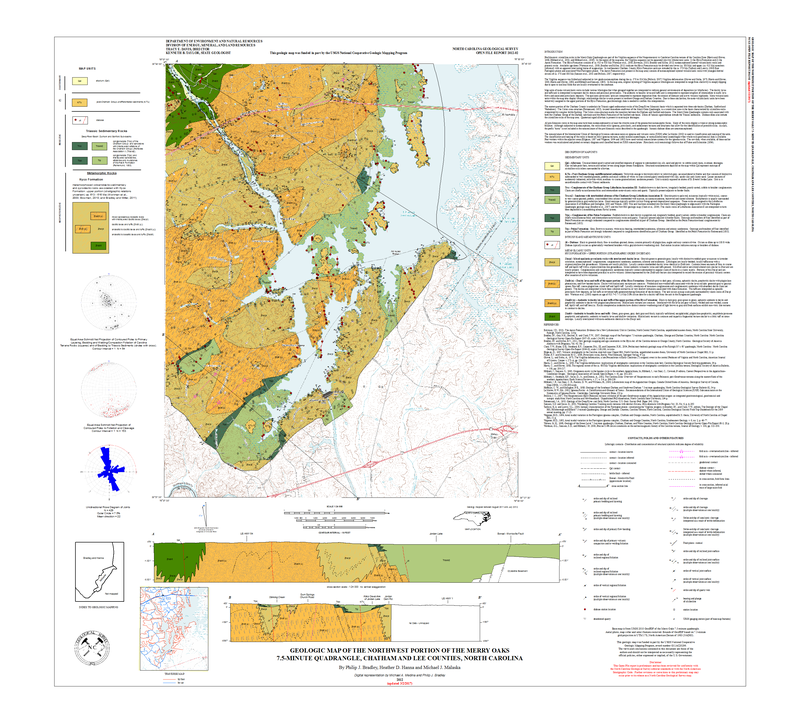 Using the Avenza Maps App, geopdfs of topographic maps, geologic maps, and other maps in geopdf format can be viewed on the iphone, ipad, and Android devices. 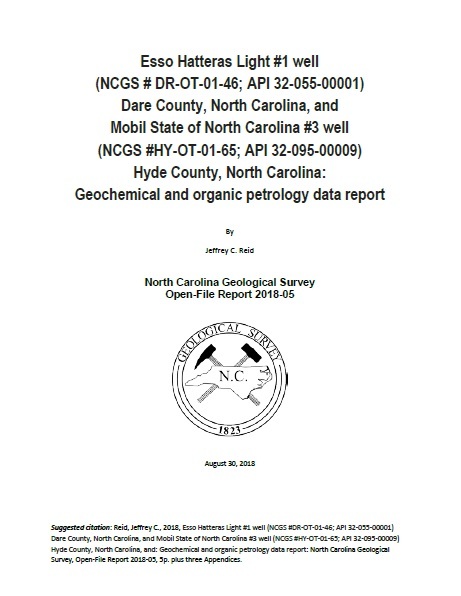 The main advantage of using geopdfs on iphone, ipad, or an Android device is that you do not need a data connection to access the maps. 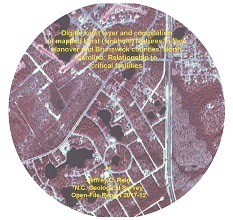 All of the map data is on the device. 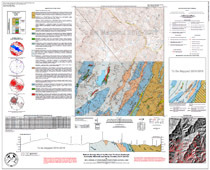 Important note for ipad and other tablet users, the basic model tablets may not have a built in GPS. 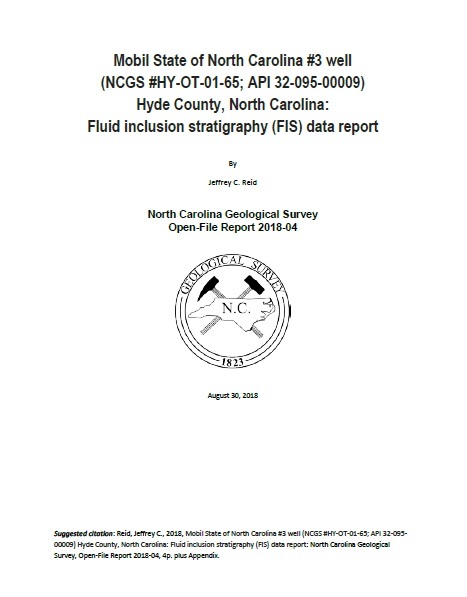 OFR 2018-14 Underground Storage of Refrigerated Natural Gas in Granites of the Southeastern U.S. 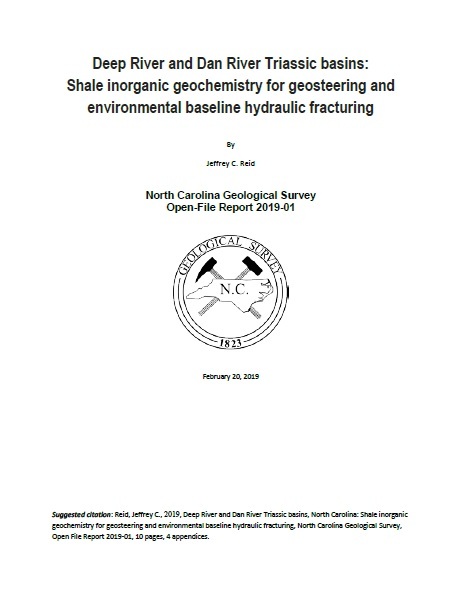 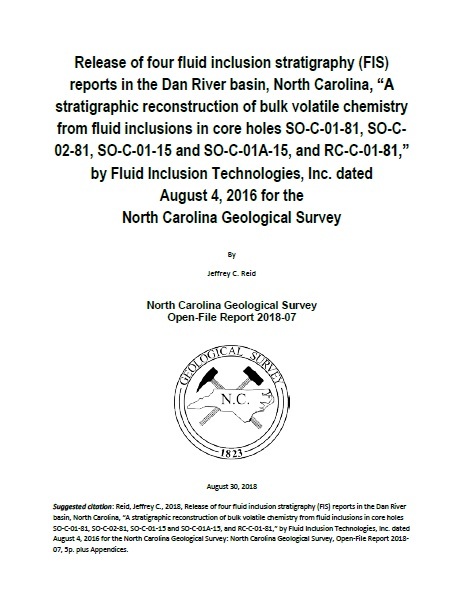 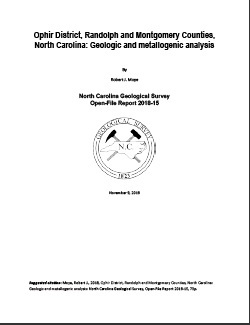 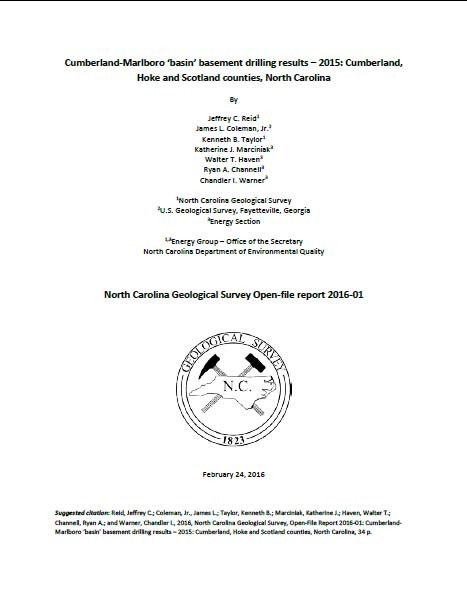 Confirmation of hydrocarbon shows and helium in the Walnut Cove Formation: Triassic rift / lacustrine Dan River basin (Stokes and Rockingham counties), North Carolina – A potential new helium province in the Eastern United States? 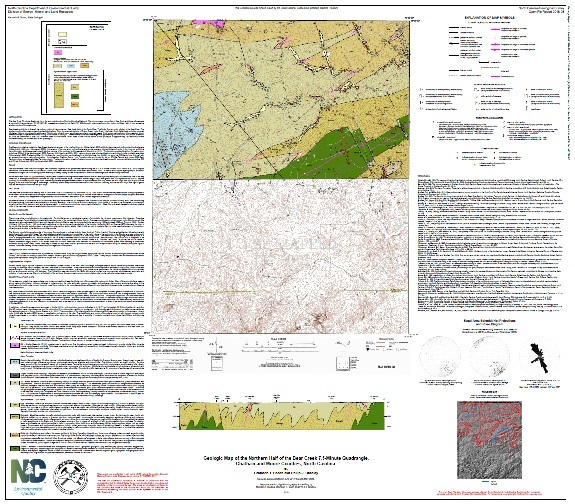 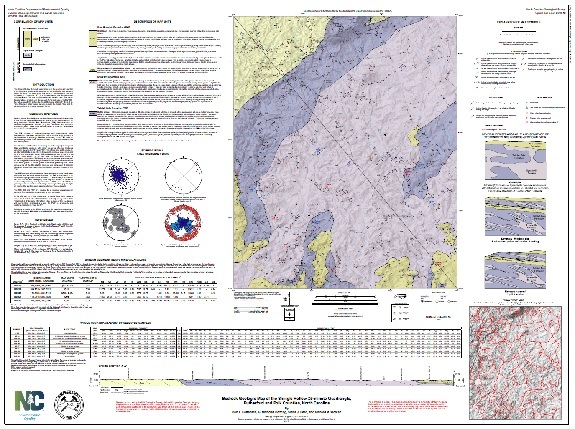 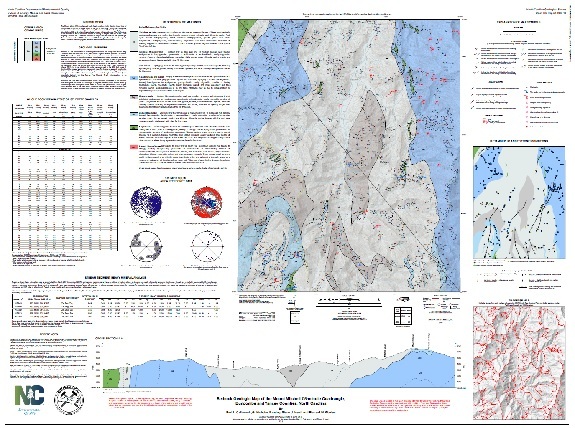 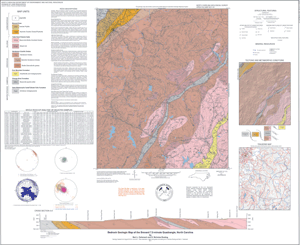 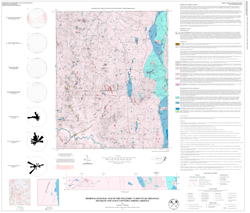 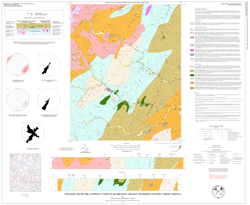 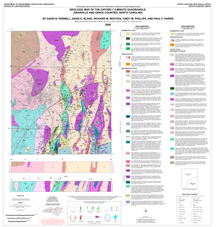 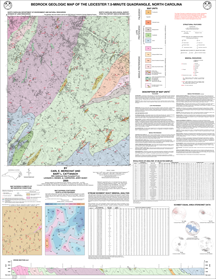 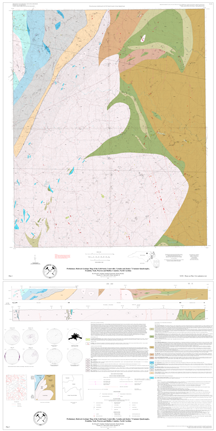 Geologic Map of the LAKE MICHIE Quadrangle (Eastern and Central Portions). 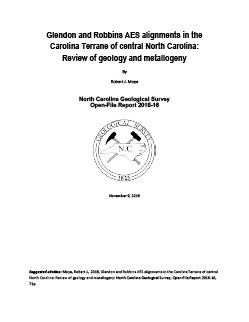 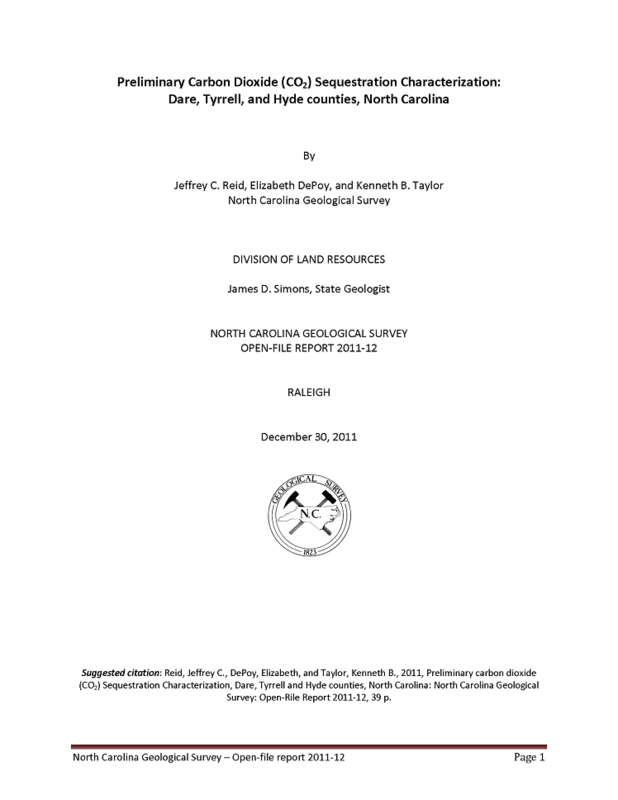 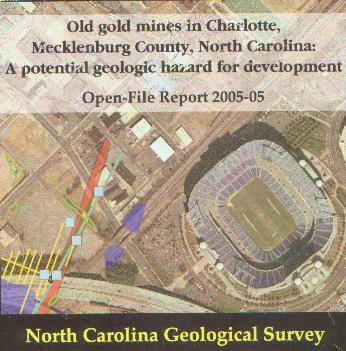 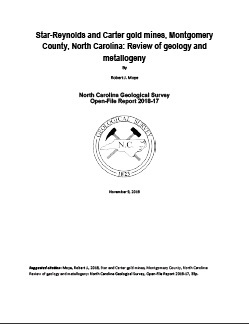 Old Gold Mines in Charlotte, Mecklenburg County, North Carolina: A Potential Geologic Hazard for Development, by Reid, J.C., Medina, M.A., and Goretti, A.J., 2005. 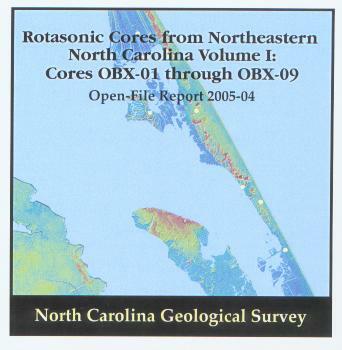 CD-ROM. 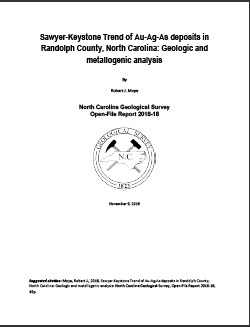 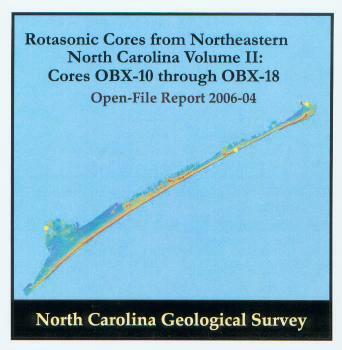 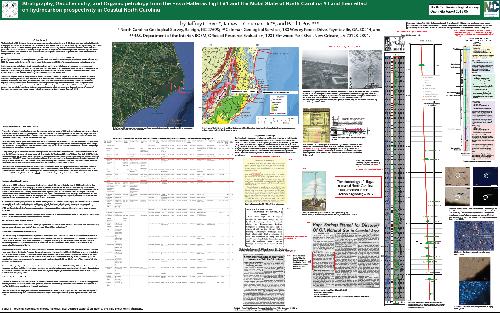 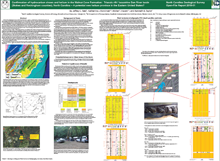 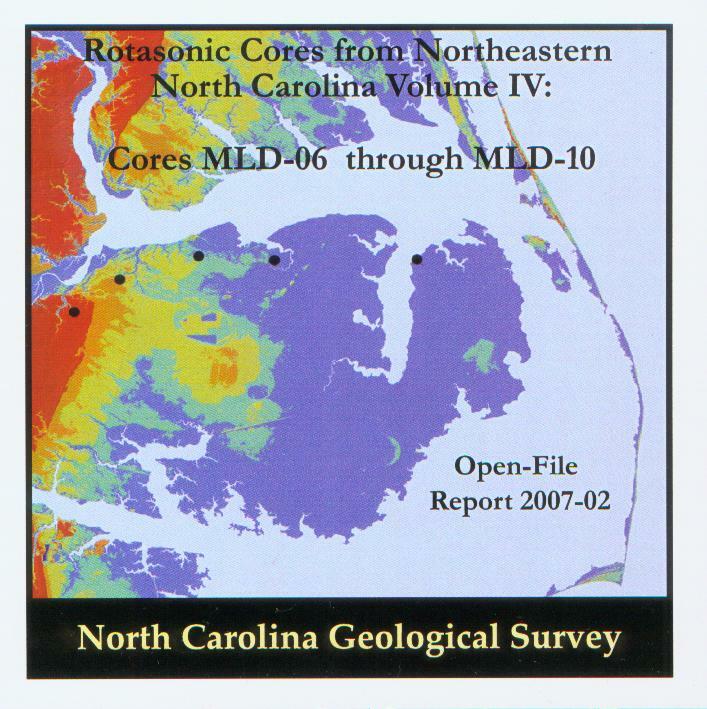 Rotasonic Cores from Northeastern North Carolina Volume I: Cores OBX-01 through OBX-09, by Hoffman, C.W., Farrell, K.M., Pierson, J.A., Ward, A.N., Nickerson, J.G., Brooks, R.W., and Ganey, J.G., 2005. 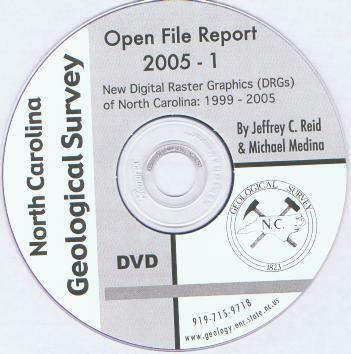 CD-ROM. 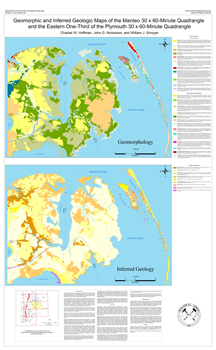 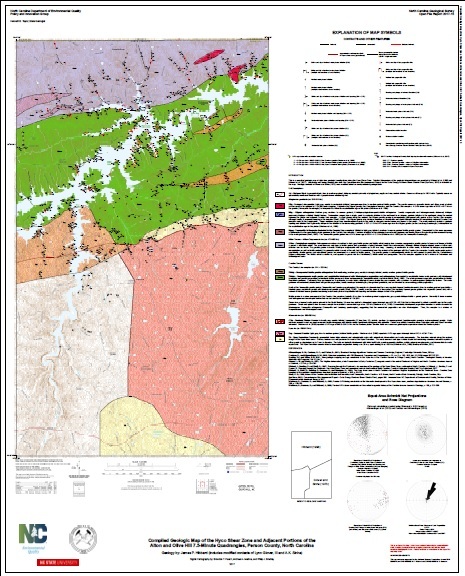 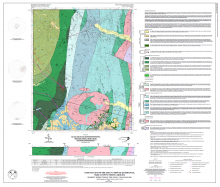 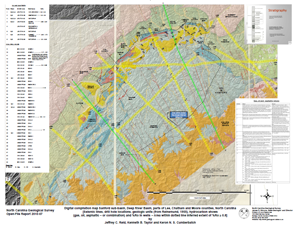 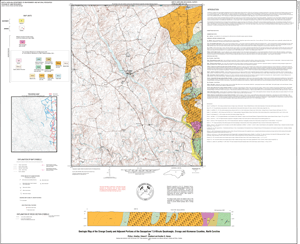 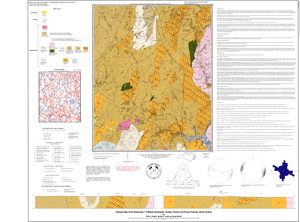 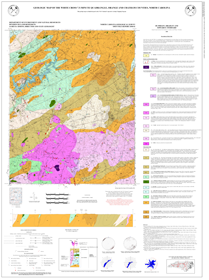 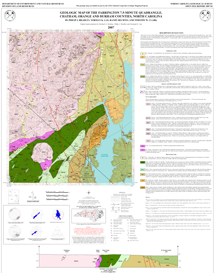 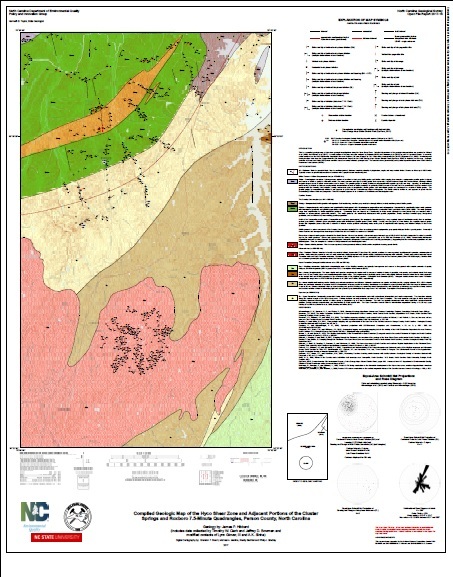 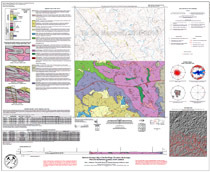 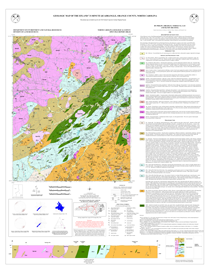 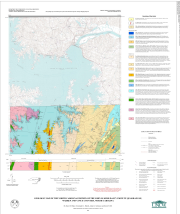 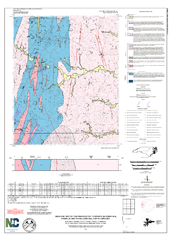 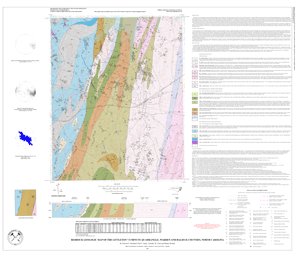 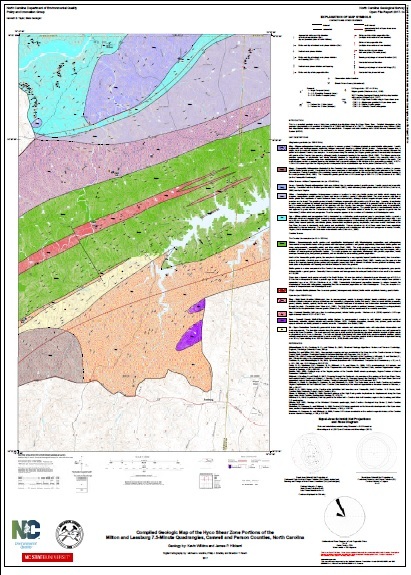 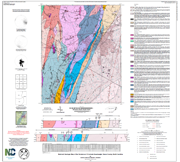 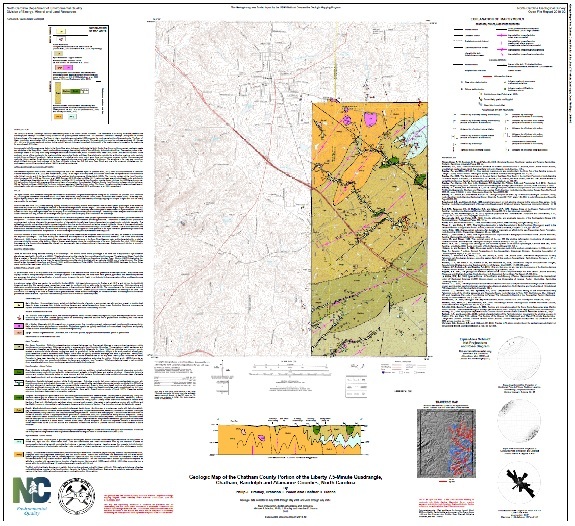 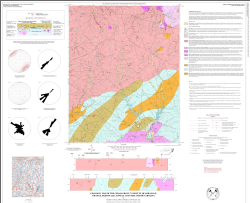 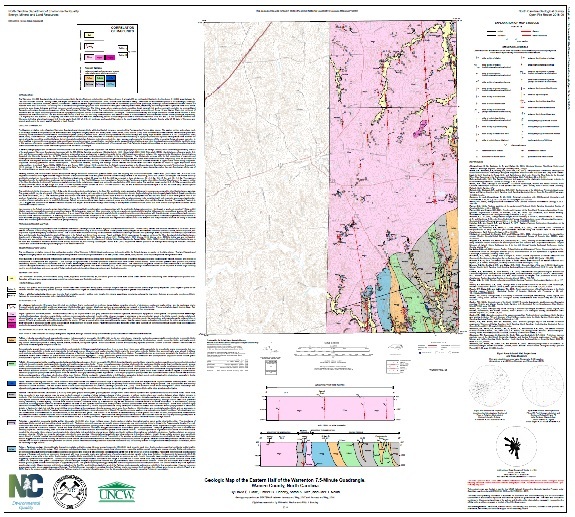 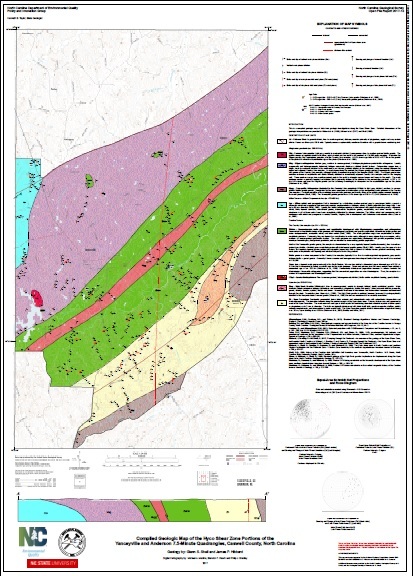 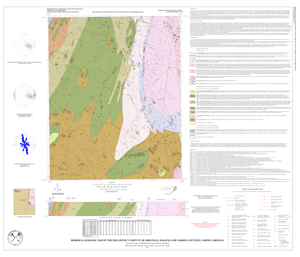 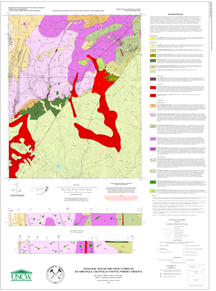 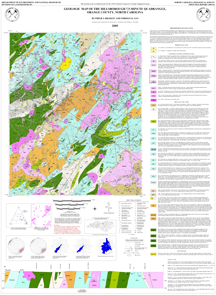 Bedrock Geologic Map of the Leicester 7.5-minute Quadrangle, North Carolina by Merschat, C.E., and Cattanach, B.L., 2005. 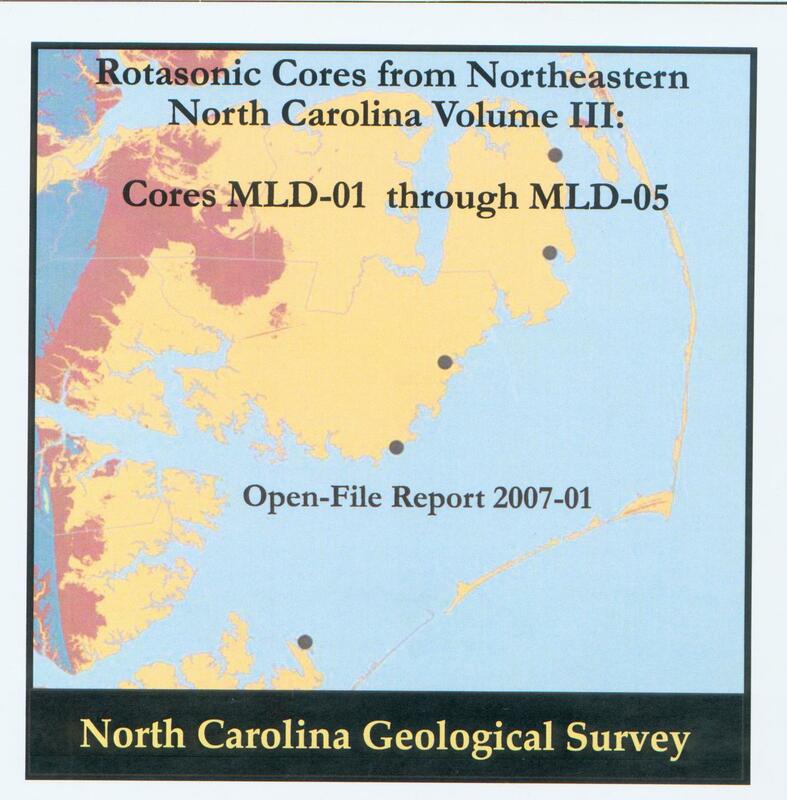 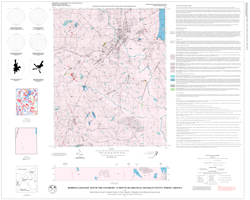 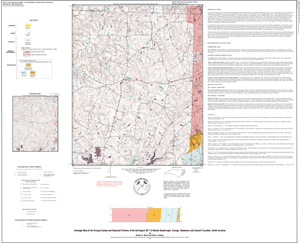 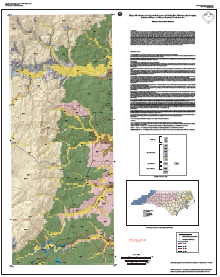 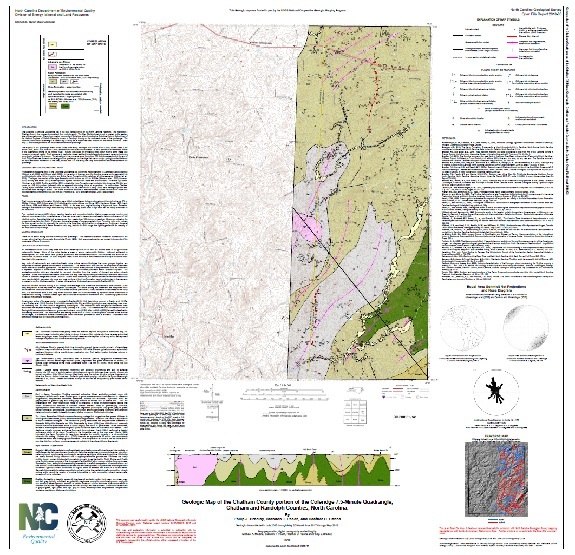 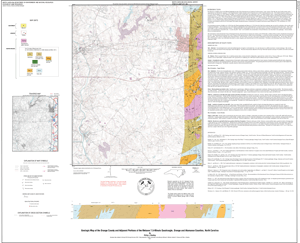 New Digital Raster Graphics of North Carolina: 1999 - 2005, by Reid, J.C., and Medina, M.A., 2005. 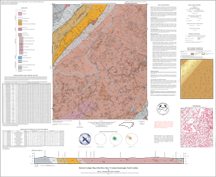 DVD-ROM.